Panasonic Toughpad and mobile business apps – Productivity on the go. Our latest white paper. Special thanks to Antoine Jothy (creative) and Matthew Ross (co-author) – great team effort. We are in the midst of the age of business consumerization, where advancements in mobile technology and the proliferation of consumer applications have forever changed how businesses view their workflows and processes. It seems that there’s an App for everything these days, including for every type of in-the-field business purpose and requirement. As more and more companies seek to take advantage of the game-changing mobile devices, cloud services and aforementioned business applications that steadily hit the marketplace, the needs and expectations of mobile workers continue to change. 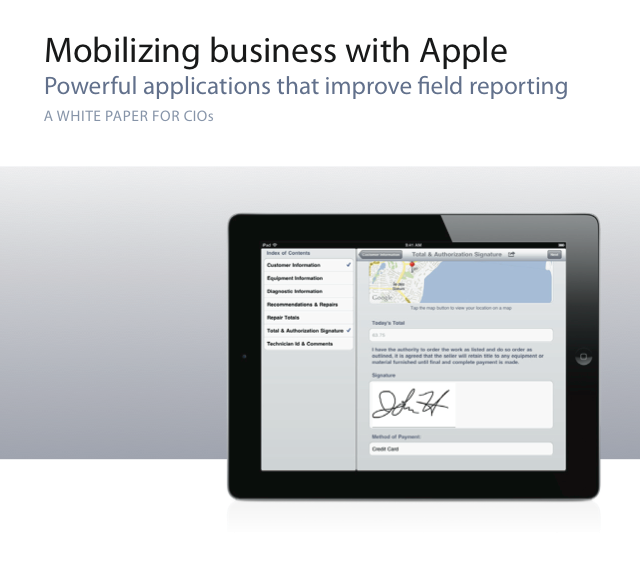 As the speed of business goes, so do the necessities of mobile business. This consumerization of enterprise-supporting mobile technology is pushing big business into spaces it has never been. Gone are the days of in-house only technological solutions. Today’s CIO now has many packaged yet customized choices to consider, when adding to his/her solution arsenal. Moreover, with the increased possibilities for today’s devices and applications in the field, mobile workers are daring to apply these new technologies to industries that were traditionally never before thought of as consumer device compatible. In other words, mobile devices are boldly going where they’ve never gone before. However, as businesses began pushing the mobile technology envelope in the field, the need for a high-performing yet durable device arose. Since consumer type devices were never intended for the most rugged of job sites, certain limitations and fears crept in. Thus, as the risk of devices breaking, falling or losing connectivity rises, the effectiveness and ROI of deployed consumer type devices and Apps falls. The more rugged the industry, the less viable and effective consumer type devices become. Enter the Panasonic Toughpad tablet. Specifically designed and geared to excel in the most rugged, adverse job settings, the Toughpad was created with the most challenging enterprise, government and institution worker conditions in mind. The Toughpad is the most complete rugged mobile device ever built. It is single-handedly allowing companies in rugged industries to go mobile where they previously would not dare. The combination of the ProntoForms application and platform, teamed with the Panasonic Toughpad tablet, is a prime example of the capability of today’s mobile technology for business. When you deploy a mobile form App that can collect data and real-time send it back to the office, on a user-friendly device that can operate under adverse conditions, the potential for becoming more efficient and productive in the field is almost limitless. Simply put, mobile technology’s biggest contribution is in helping companies to go paperless and to digitize workflows and processes. At present, one of the biggest technology debates within enterprises is how to best deploy mobile solutions into the field. Should these solutions be built and maintained in-house, or are pre-built, packaged mobile solutions the way to go? has left enterprises scrambling with how best to maximize what their workforce can do in the field. The challenge for every enterprise is clear – provide workers on the go with the very best and most efficient mobile tools possible. If not, almost certainly, for every enterprise thinking about deploying a mobile solution, there are competing firms contemplating the very same decisions. However, it’s important to differentiate between the mobile solutions we’re considering. As mobility solutions continue their rap- id expansion across businesses, multiple unique requirements can be defined. While smaller businesses may require only one solution, sophisticated enterprises may require multiple unique, packaged and custom-built solutions, including mobile Apps for brand marketing and retention. 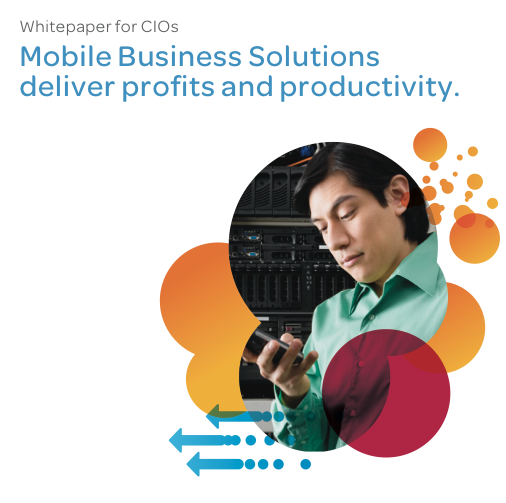 This white paper is focused on productivity solutions for businesses, and compares the buy versus build costs of a multi-platform, fully integrated mobile solution, for data shared and dispatched to enterprise field workers, and for data collected in the field and real-time shared with the office and other team members. - boardroom expectations of a clear and deployed mobile strategy. For a multitude of reasons, speed of deployment in today’s competitive business environment is paramount – 18 to 24-month development and deployment projects can frequently outlast many team members, strategies and even the CIO altogether. What compounds the challenge of the mobile strategy, and the ongoing debate of buy versus build, is the importance of interconnecting office data to the field and field data to the office. The mobile App cannot work alone; it must be connected to the office to maximize business productivity. Invariably, at the end of the day, it will always come down to projected ROI – how much time and money is an enterprise investing and what kind of results will it yield? Enlisting the help of an independent ICT expert with 20 years in the industry, we examine how packaged, customizable applications such as mobile forms solution ProntoForms, fare against similarly in-house built applications. Steven Woodward is a leading international expert in ICT estimation and cloud computing governance. He has over 20 years experience in software estimation, benchmarking, valuation and governance. A Certified Function Point Specialist since 1994, and a Certified Software Quality Analyst since 1995, Woodward was asked to independently analyze buy versus build scenarios, involving ProntoForms and general industry examples. In 2010, Woodward was elected as Director of International Software Measurement Analysis conferences and education, in conjunction with the International Function Point Users Group, custodians of the ISO/ IEC 20926 functional sizing standards. This standard is used to consistently quantify and categorize software functionality to establish realistic commitments, monitor progress and clarify support costs of software solutions. Woodward is also a published author on effective project measurement and cloud computing measurement. 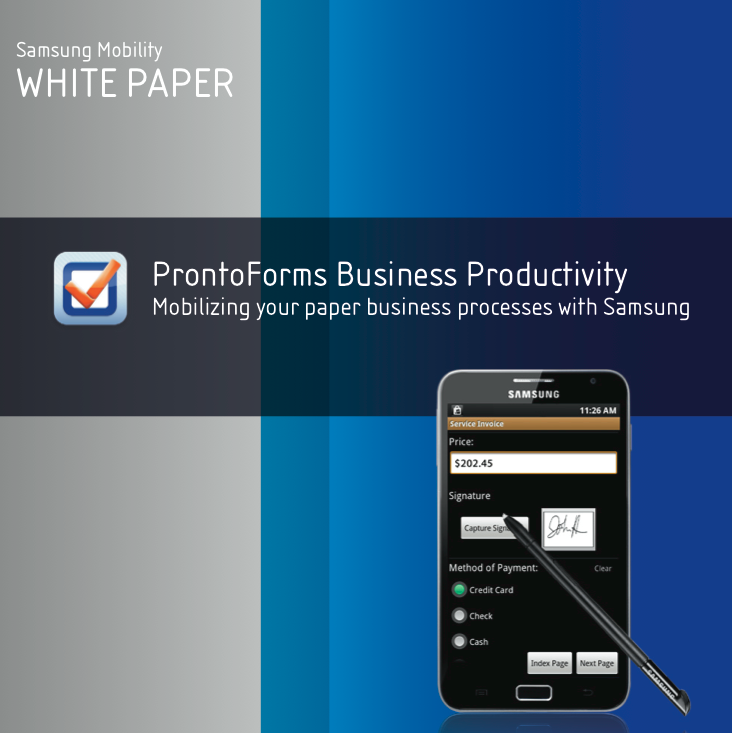 The following White Paper was developed for Samsung USA to promote Business Mobility Solutions.